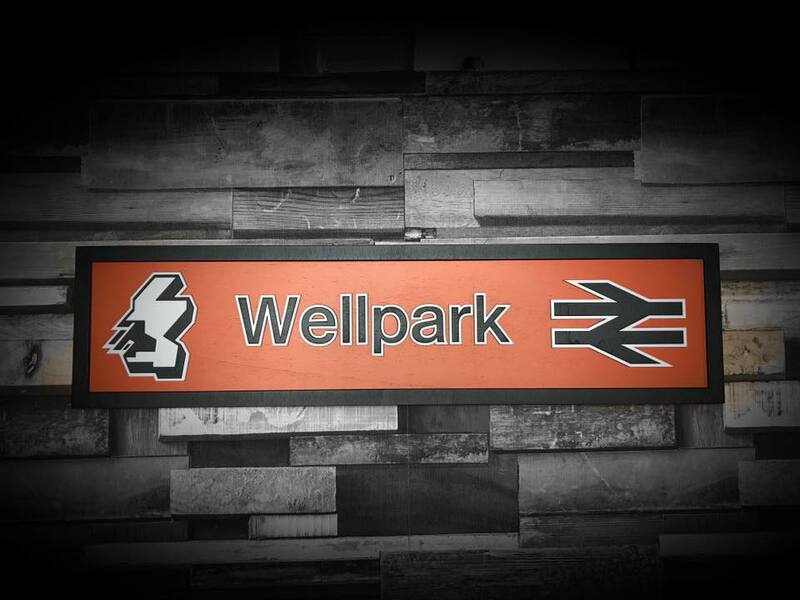 Wellpark is not a real station. 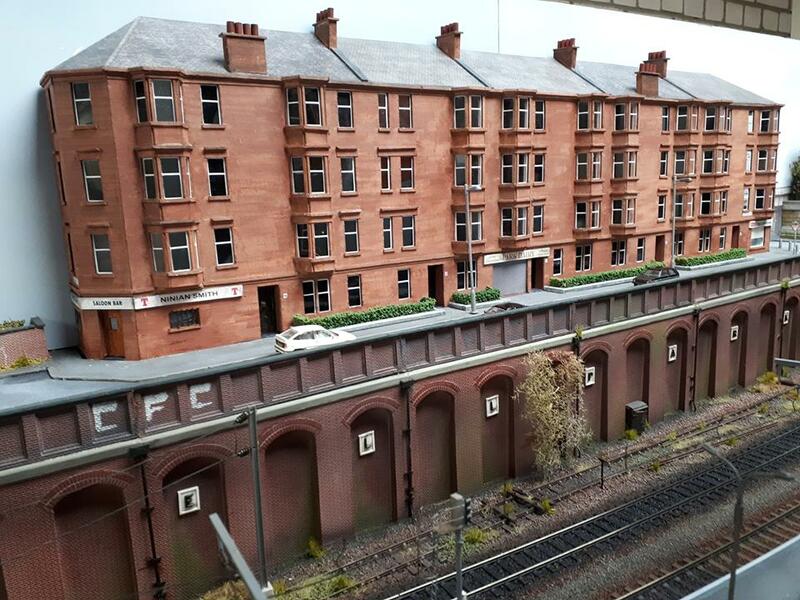 We have borrowed the name from another famous Glasgow landmark, that of the Tennents brewery of the same name. 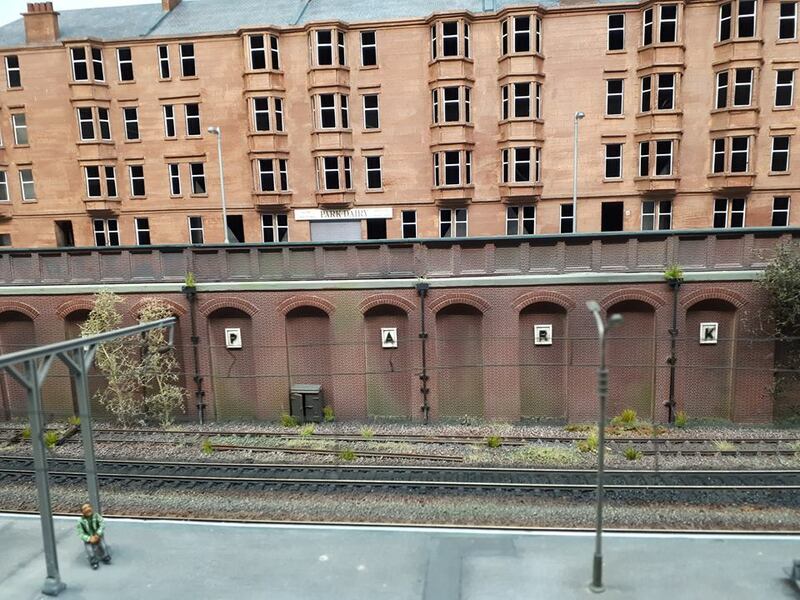 Rather than anywhere specific we have tried to capture the essence of the myriad of electrified suburban lines that criss-cross Glasgow. 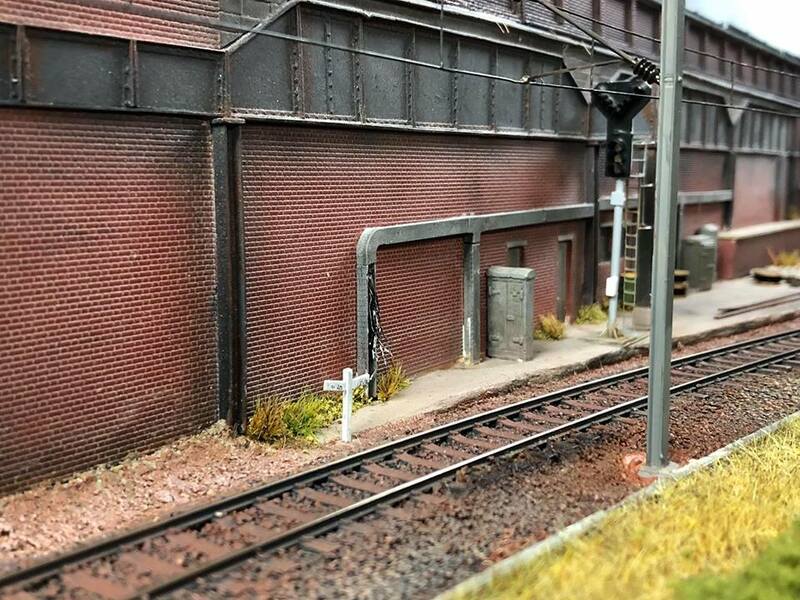 In doing so, we have borrowed elements from different lines and locations and tried to incorporate some specific local architectural features into the layout. 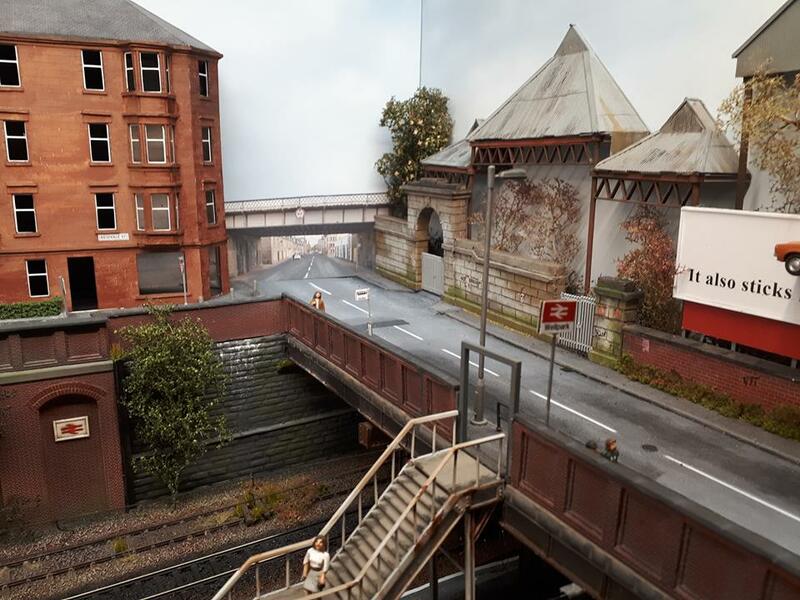 Much of the rail infrastructure in the area seems to be below street level so we have kept layout level ‘sub-surface’. 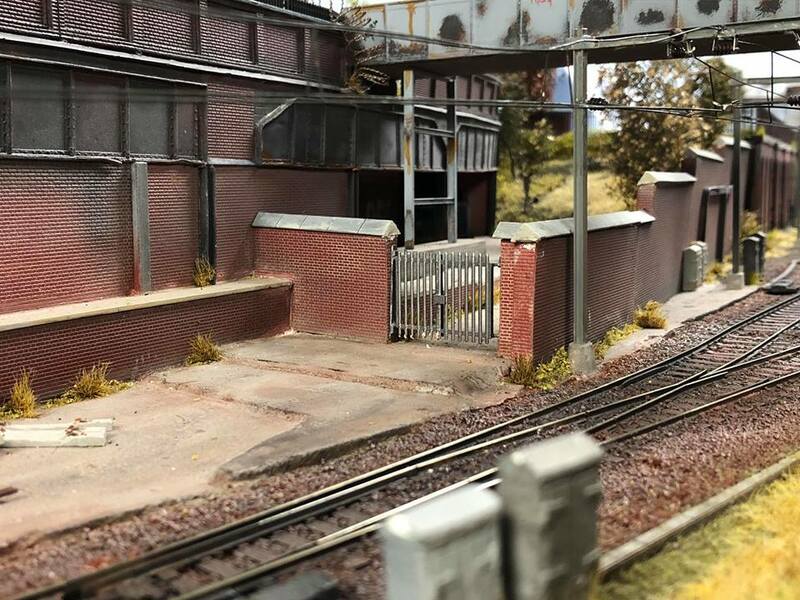 Widespread use of 3D printing (it spurred SDEG to acquire their own 3D printer) and scratch building of both buildings and railway infrastructure was deemed necessary to create a less off the peg feel. 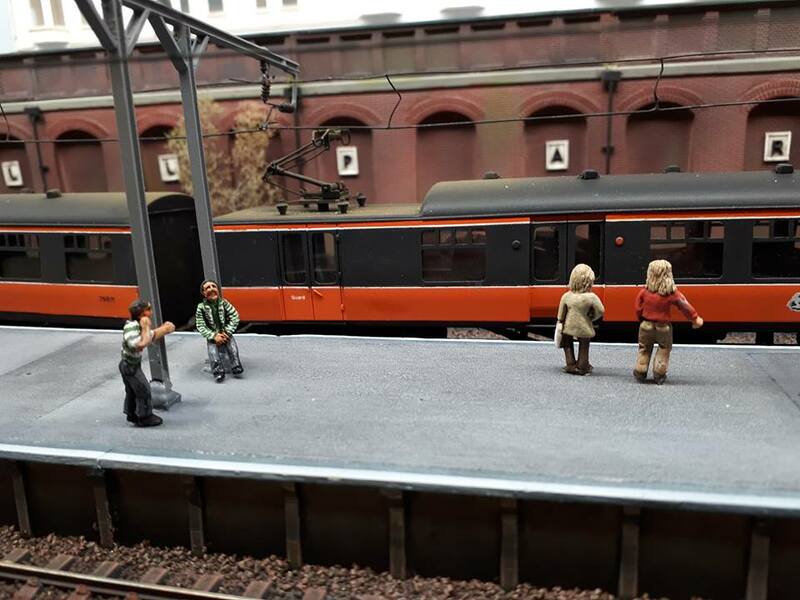 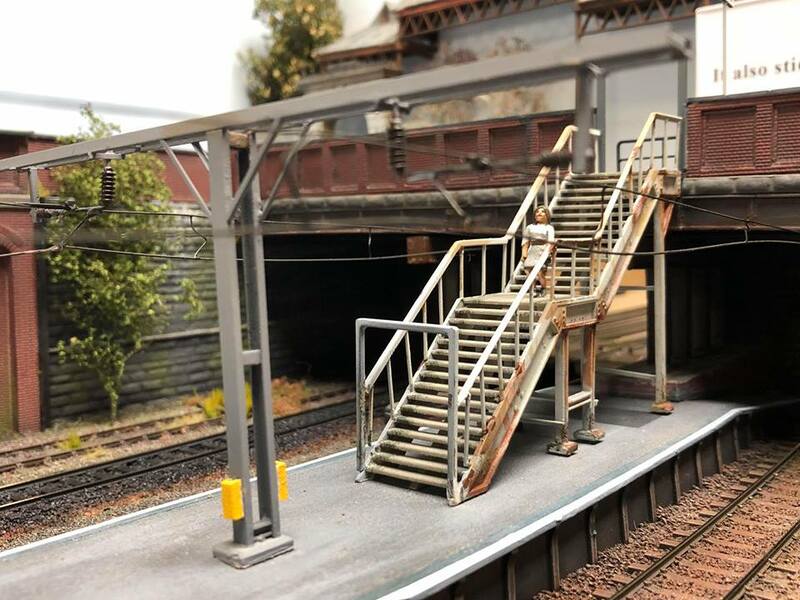 The footbridge, station steps, cable trunking and much of the brewery has been 3D printed. 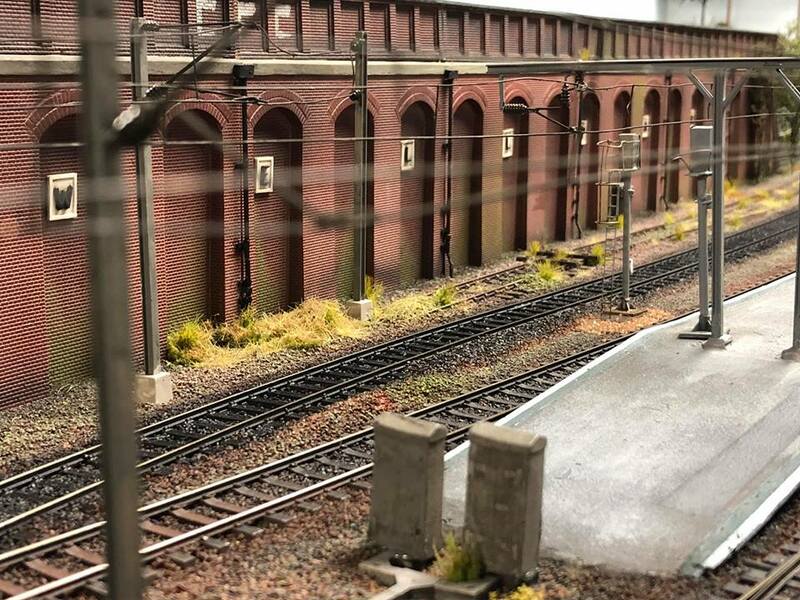 Trackwork is Peco Code 75 with scale spacing of sleepers and the grain/coal yard at the brewery is the new Peco Bullhead. 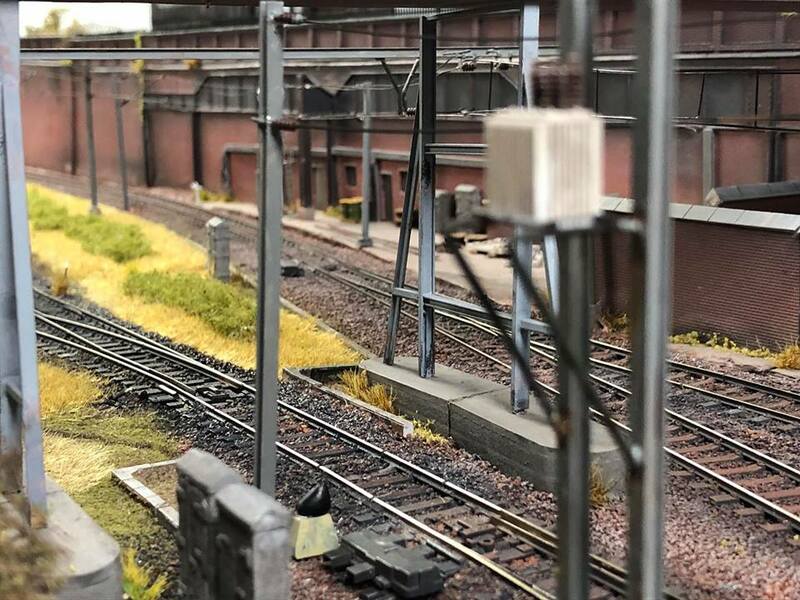 We have used Cobalt Digital point motors and have built a clever DCC failsafe into the wiring. 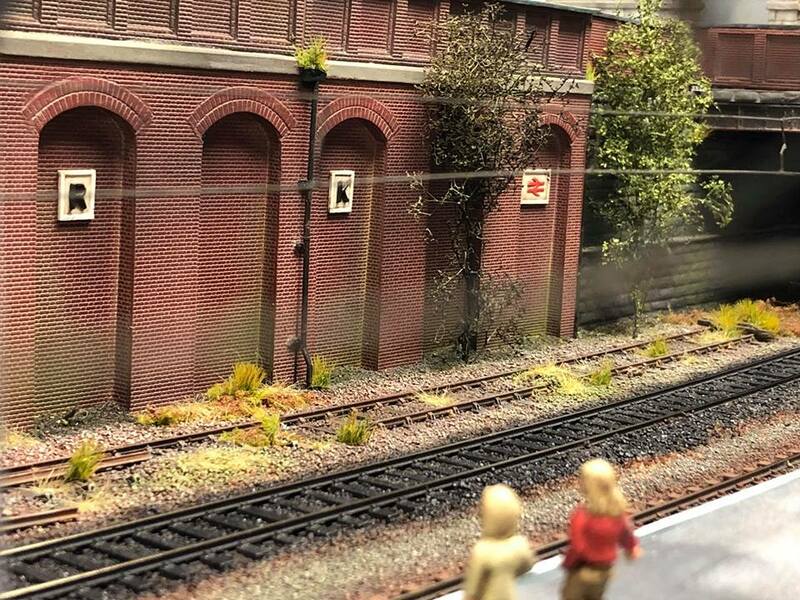 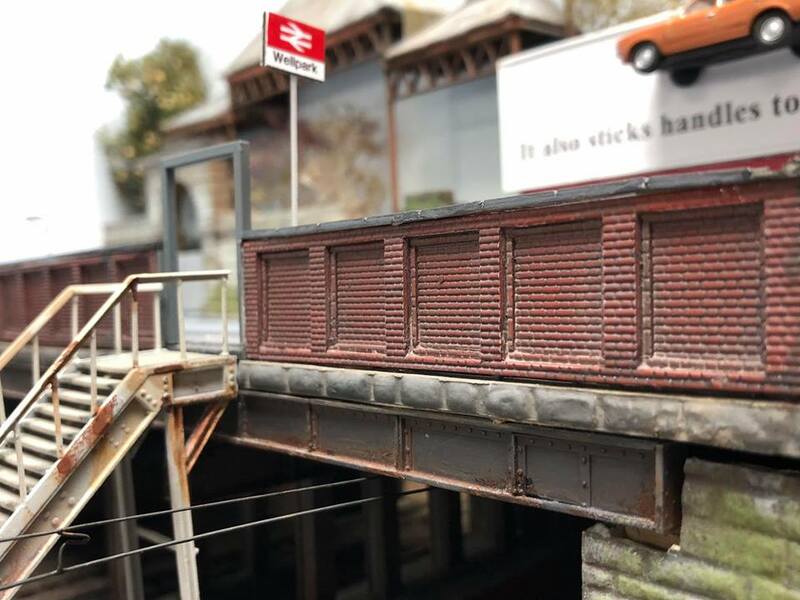 Signals are by CR Signals and Paul has built us a couple of specials which include the ‘dolly’ on a post for the entry into the brewery siding. 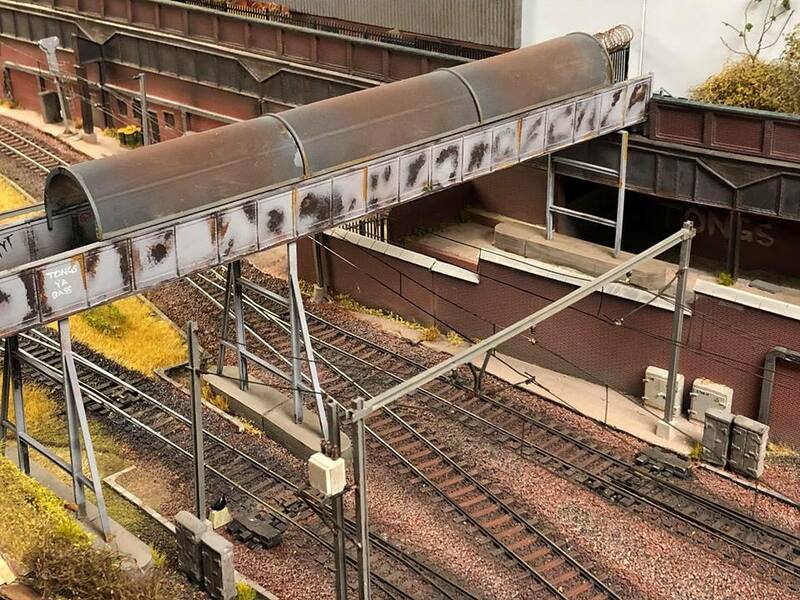 Lenz DCC control and an interface for Touchcab are used to control trains and signals though we are moving to a full control panel and interlocked signalling very soon. 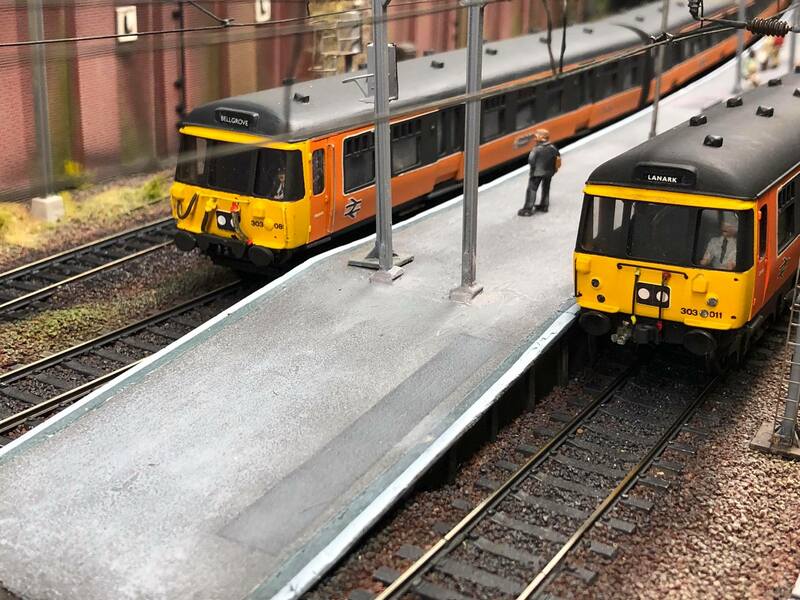 Operationally (much like the lines we attempt to portray) you will see a procession of 303 EMUs, synonymous with Glasgow and the Pressed Steel plant at Linwood. 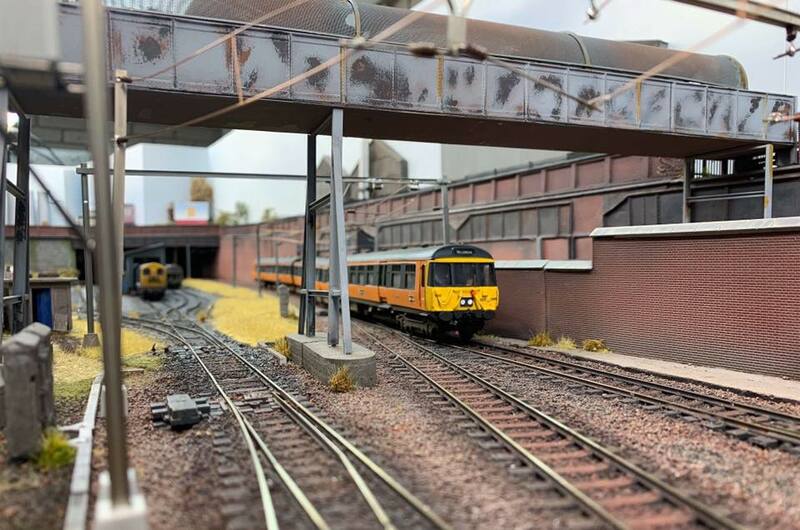 Other EMUs and DMUs provide additional local services. 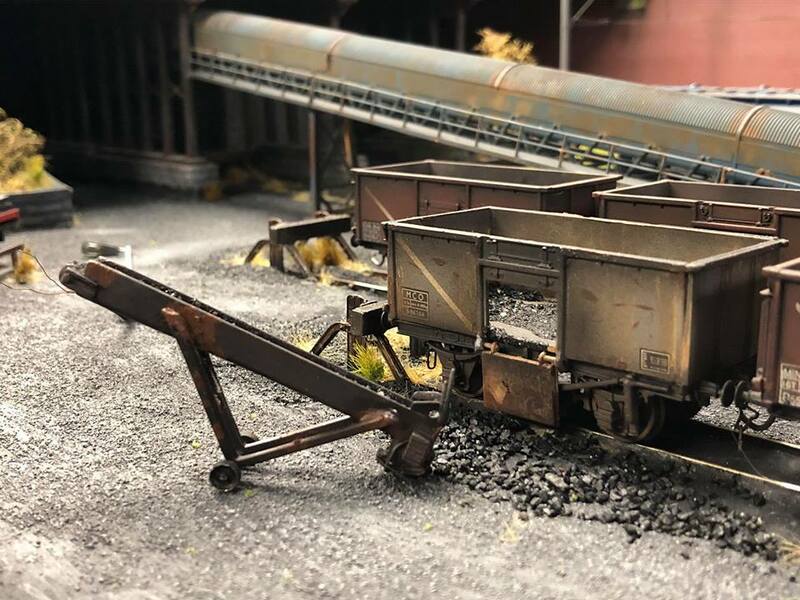 Not being tied to a location we can play a little fast and loose with freight and passenger workings. 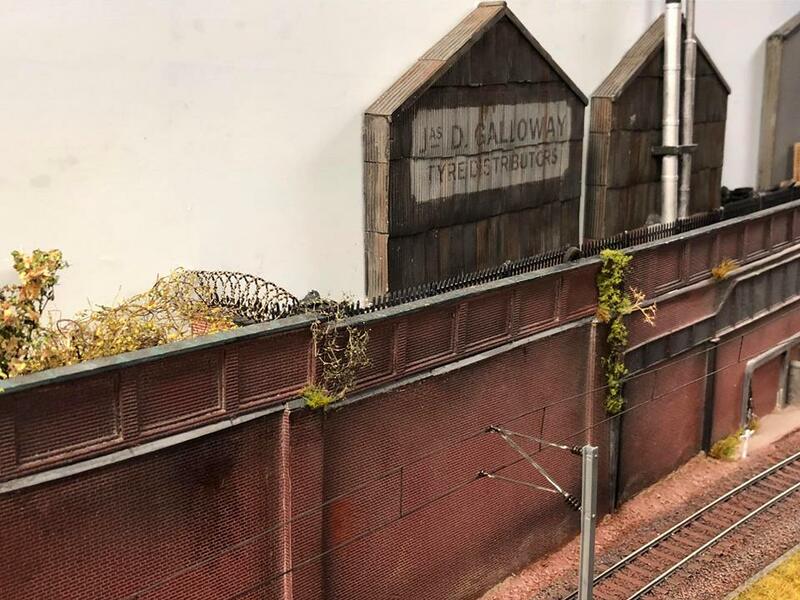 Do not be too surprised to see Gushetfaulds bound Freightliner workings, West Highland passenger and sleeper portions, as well as oil and timber trains for Glasgow area and further north and west. 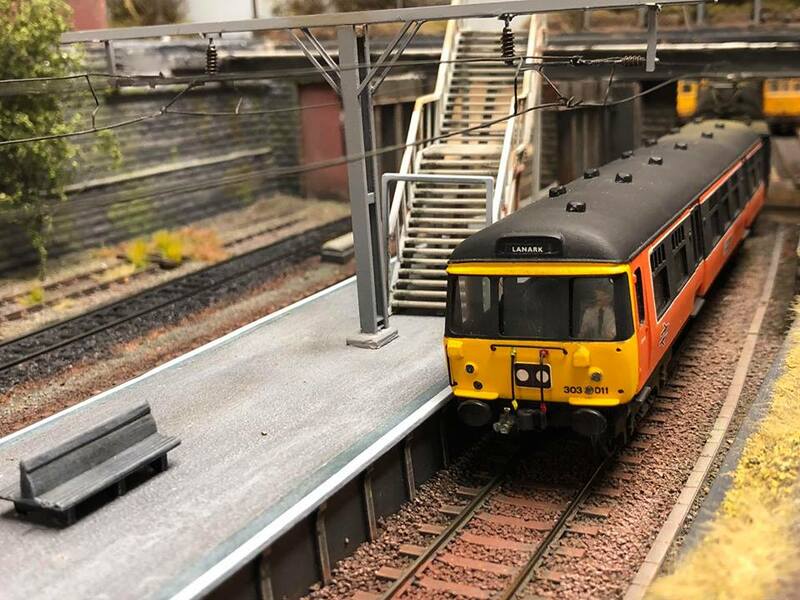 Electric locos might wander past on positioning moves for Glasgow Central workings too. 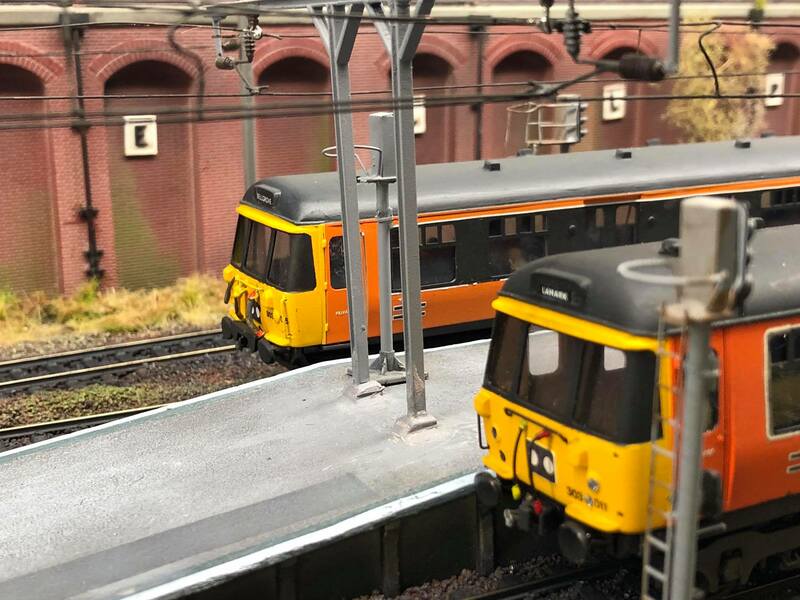 The EMU fleet is mainly a DC Kits based 303 fleet, these all powered by Replica’s excellent chassis. 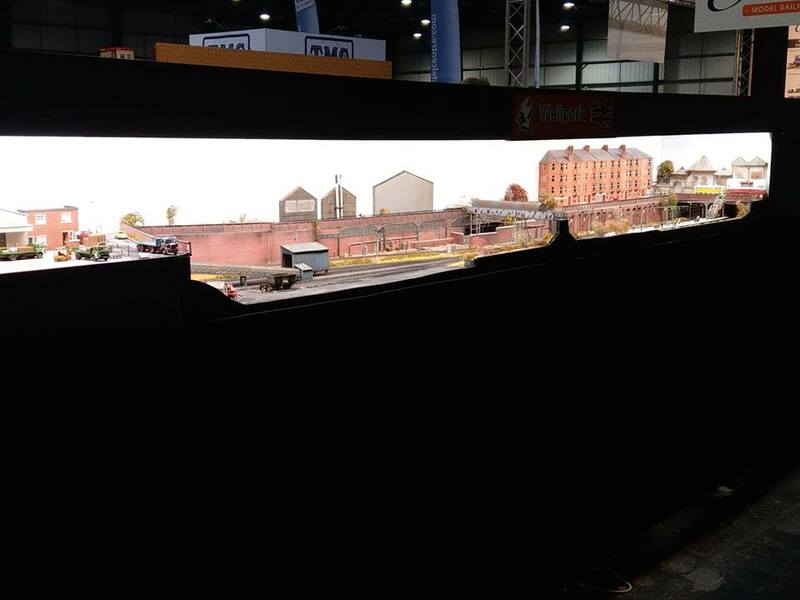 All locos are suitably fiddled with, renumbered, detailed and of course weathered for an authentic Eastfield look! 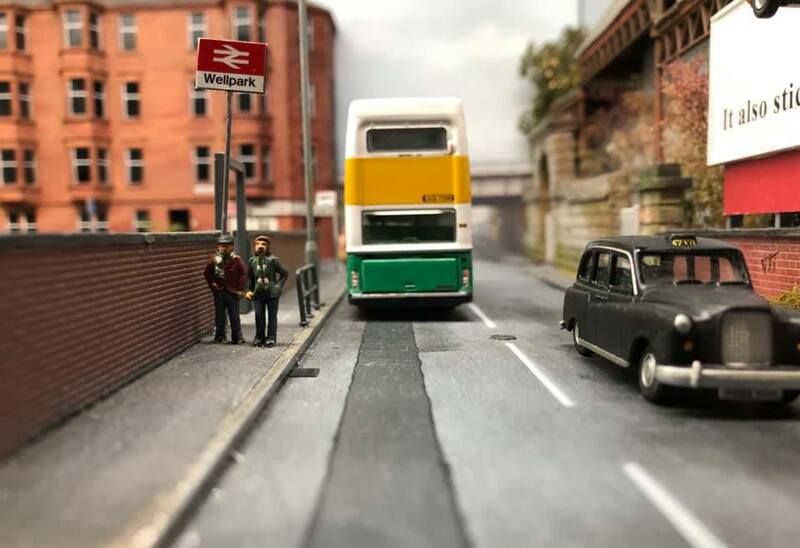 Sound is mainly Legomanbiffo but all suppliers feature. 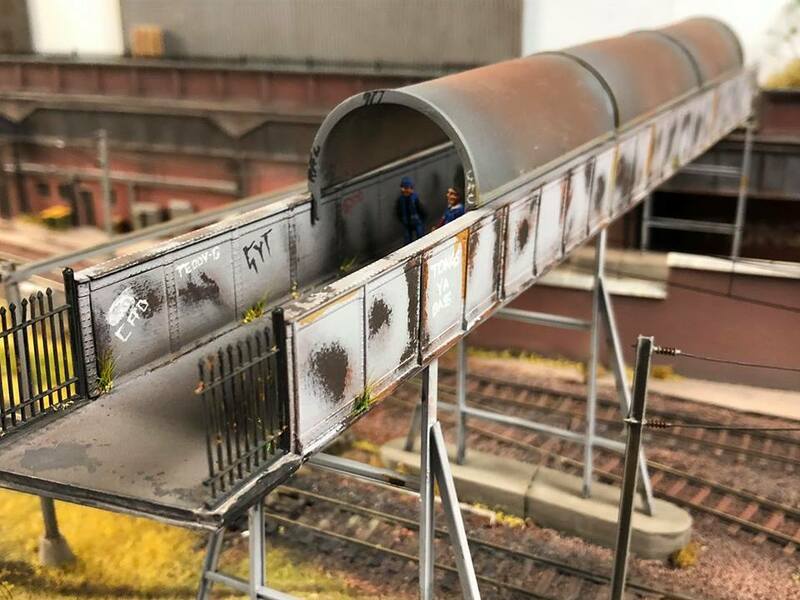 The rolling stock comes from all proprietary sources and includes a number of scratch built specials. 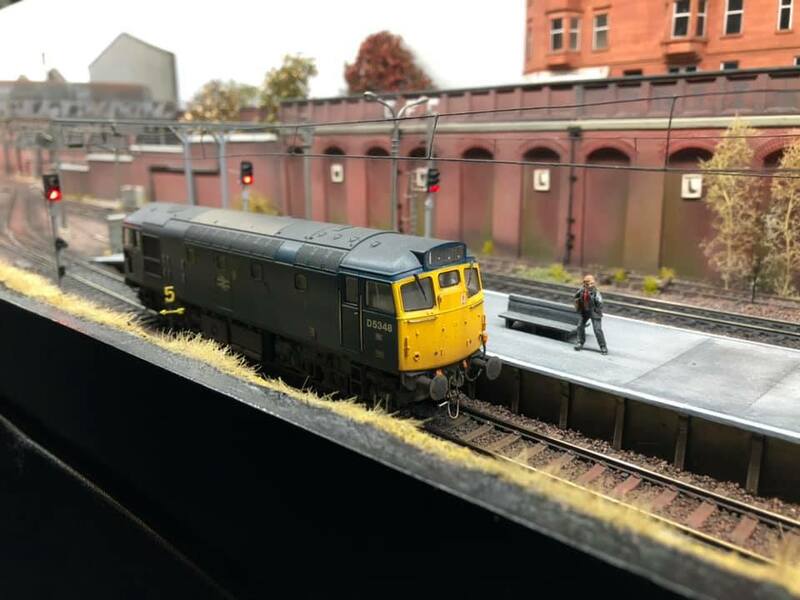 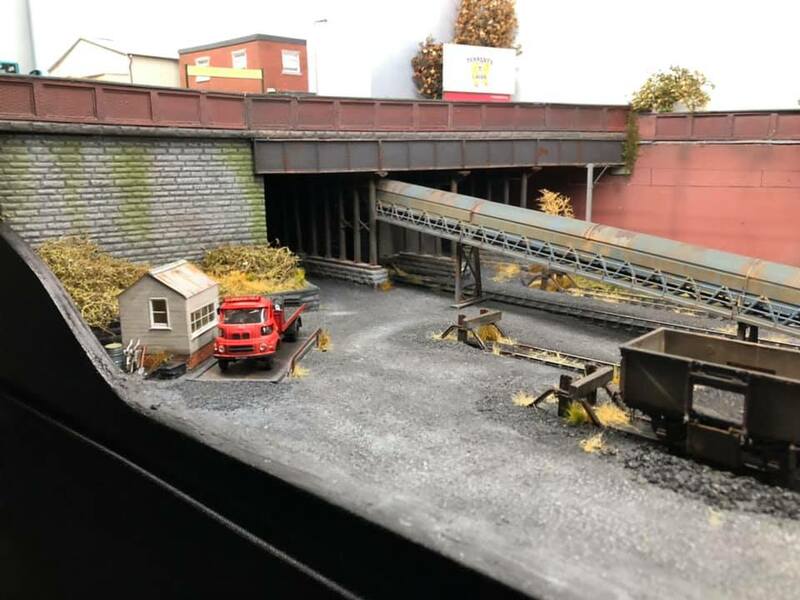 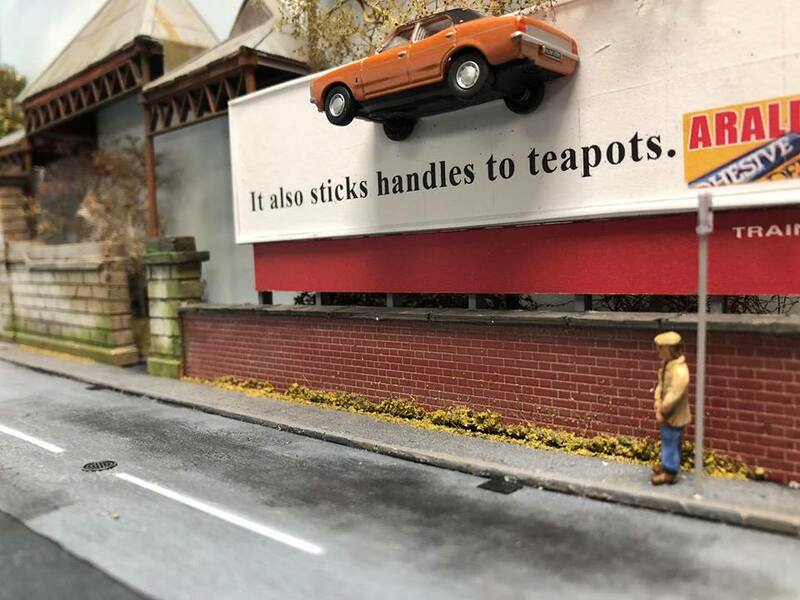 We can portray any time period from the late 1970s up until the early 2000s and envisage that the brewery sidings that would have taken grain and coal deliveries in the 70s and early 80s gradually became less and less used as time went on. 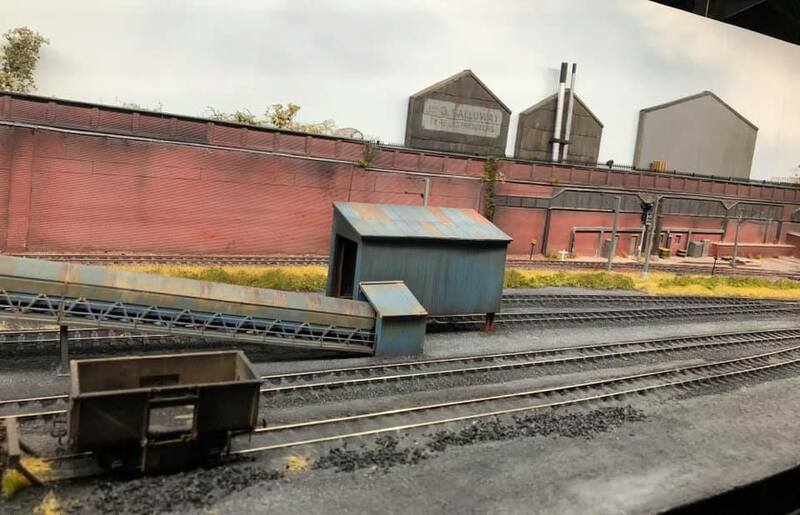 Local coal merchant traffic would have eventually dried up too and like many sidings they became gradually derelict and used for little other than engineers wagons storage.